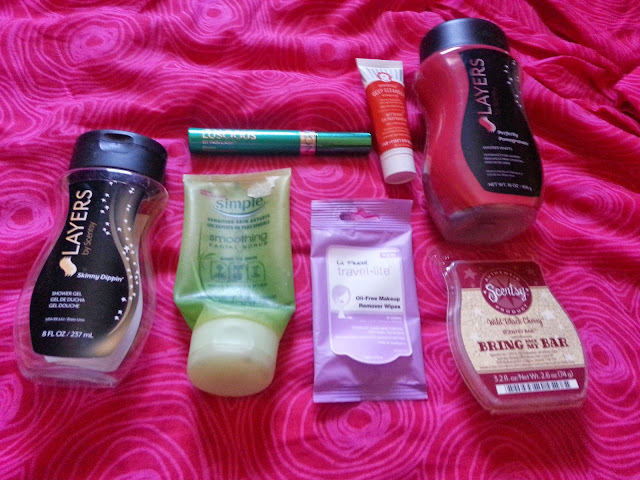 I tried to do only a month this time, to finish off some empties. And I think I made an okay dent in some things that I have. I still have a ton of product that I need to get through, but at least some of this stuff is getting used up, and isn't sitting around any longer. I hate throwing anything away, especially if it's still full. Not everything that got used up, is in the above picture. I got a little excited and took a photo yesterday, and ended up finishing a few more products in the evening and today. The first time I tried this shower gel, was in the scent "Lucky in Love." If anyone is familiar with Victoria's Secret Love Story, that is exactly what it smells like. I ended up getting skinny dippin' awhile back just to make an order worth it to ship, and I liked this smell. It's more tropical and has a banana undertone to it. At least to me. I like the way this lathers, a little goes a really long way. The scent on this one I would say didn't last as long as Lucky in Love. I wouldn't buy this scent again, but I purchased another in Lucky in Love and will pull it out once I get through another body wash. 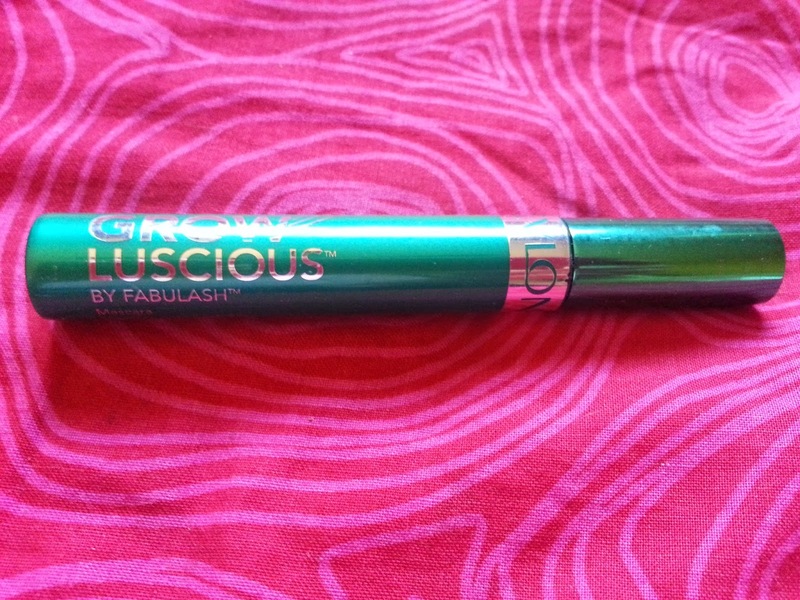 I picked this mascara up on clearance for like $2. I'll admit I've had it for a lot longer than one should have mascara, but I again, I have an issue throwing things out. And if it doesn't give me a bad reaction, I will hold on to it. Anyway, I really liked this mascara. It did start to dry out though and I wasn't getting the look I liked with it anymore, so I decided to toss it. But it was pretty much all used up anyway. I would possibly repurchase one day, but I have about a million other mascaras to get through. I also picked this up awhile back, when Zellers was closing in my city. I used it, put it away, grabbed it again, put it away. It wasn't anything amazing that I just had to use. The scrub wasn't fine, but there wasn't a lot in there anyway. It kind of felt like rice granules. There was more cleanser than scrubbing beads. It didn't harm my skin, but I didn't feel like I got a good exfoliation with it. Would I repurchase? No. I prefer other brands. I got this in a past Ipsy bag. If memory serves me correct, it came in the February 2014 bag. I remember trying it once or twice and it dried my skin out. I figured I would wait and try it again in warmer months, and I guess I misplaced it, and continued to use other cleansers. I ended up finding this and tried it again for a few weeks and I hated it. 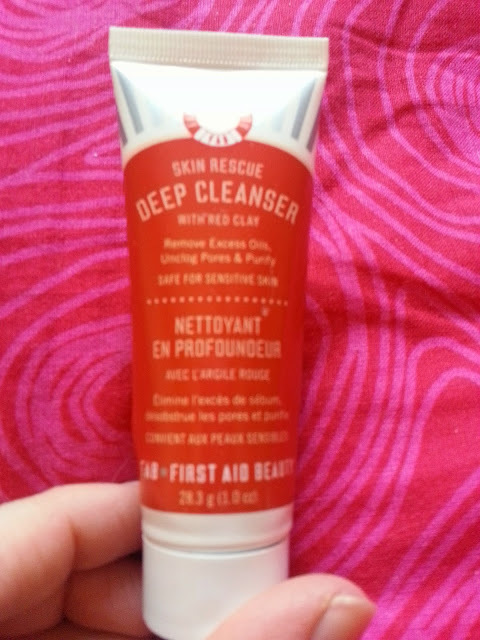 Again, it dried out my skin and it actually gave me red patches. It was horrible. I'd never buy this. 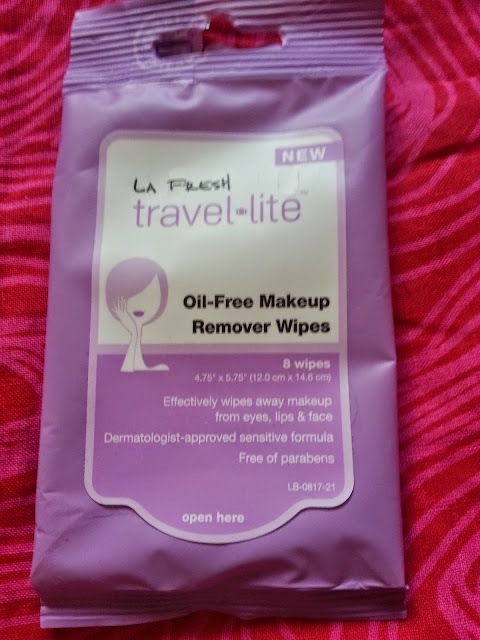 I got this in a Beauty Box 5, and was excited to try them. I finally got around to using these and they are just meh. They don't feel as saturated as I thought they were going to be. And they struggled a little taking of waterproof mascara. I wouldn't repurchase these. I purchased this probably about 5 or 6 months ago, and I just finished it up this month. I really love the washer whiffs by Scentsy, and I'm not just saying that because I recently became a consultant. I began using these over a year ago, and I think they're great. They come in so many different scents. I've tried Black Raspberry Vanilla (which has been my favourite so far), Perfectly Pomegranate, and I'm not using Coconut Lemongrass. The scent on this one didn't last as long as the BRV, but I still really enjoyed them. Washer Whiffs are just like Downy Unstoppables. 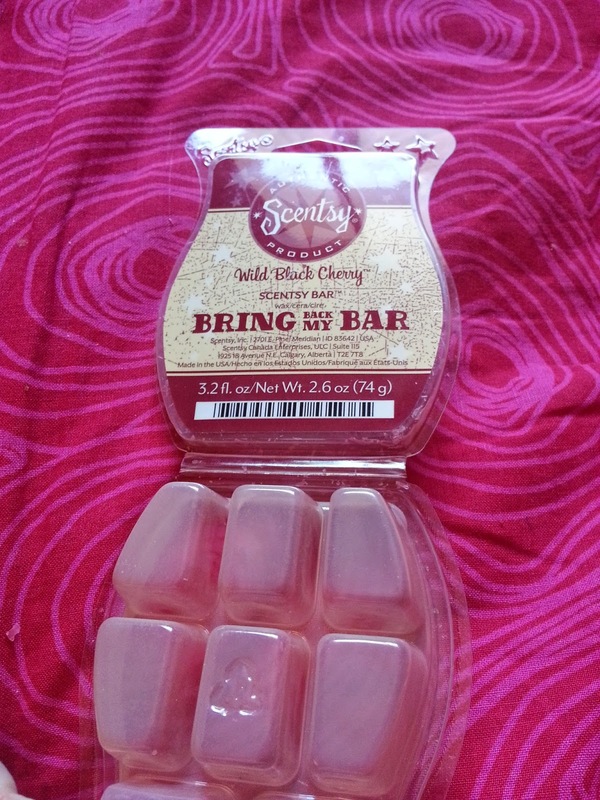 I will repurchase these in the future, and I look forward to trying some more scents! This is a limited edition, "Bring Back My Bar" scent. Twice a year, voters choose 20 bars that get to come back to the scentsy line up for only a month. 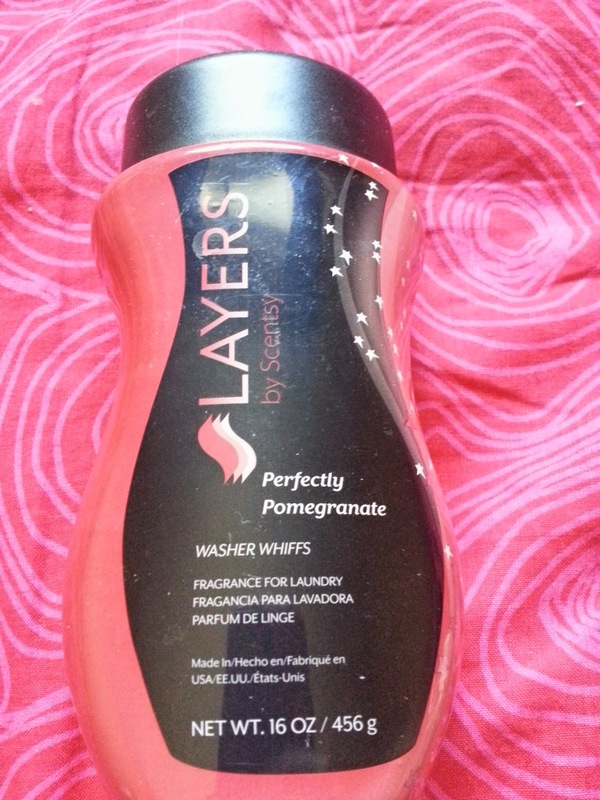 I actually really liked this scent, and it reminds me of cherry kool-aid. I purchased another during the last BBMB event, so I have a full bar to replace it. 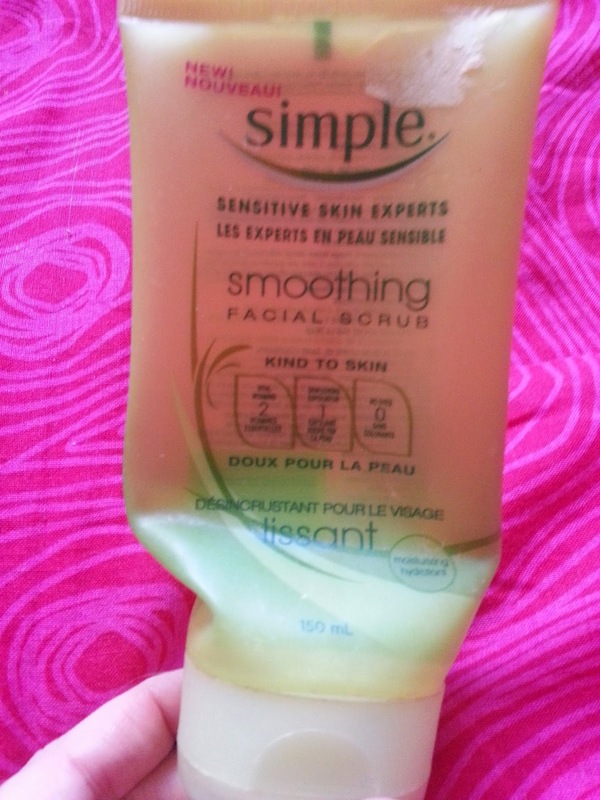 I got this as a sample in the Shoppers Drug Mart Mascara Sampler pack last year. It's very greasy feeling, and really doesn't remove your makeup in one swipe like it says it does. 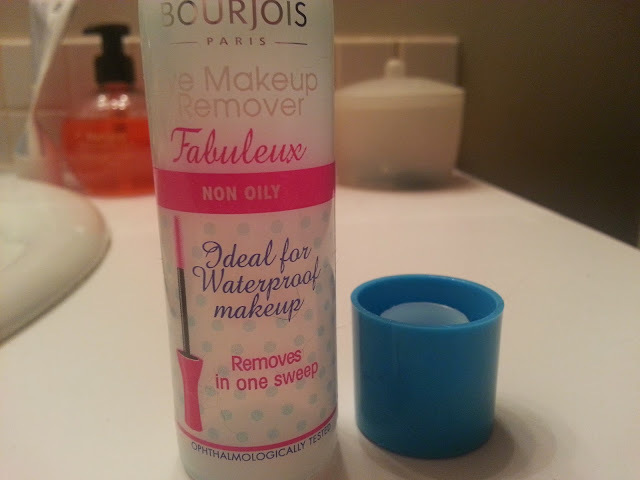 This is probably the worst makeup remover I've ever tried. Not just that, I'm not sure if you can tell, but the part that screws the cap on, snapped off somehow, and got stuck inside the lid. Which made this sample pretty useless considering I couldn't take it with me anywhere if I needed to. I had about half of this left and decided to dump it. Yes the one that doesn't like to throw things away if they are full. I hated it that much. Wasn't sad to see it go. And I definitely won't be purchasing this, ever. 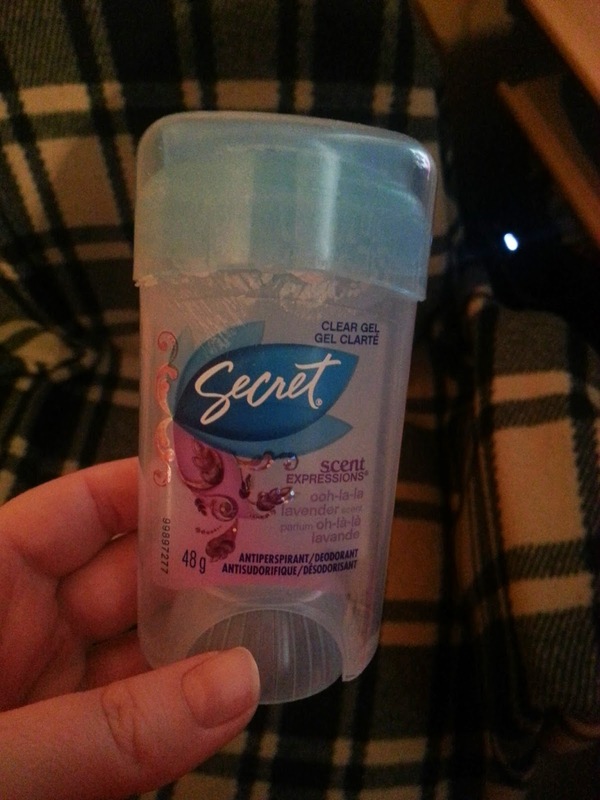 Normally, I wouldn't post a picture of deodorant. There's not really a need for the world to see it lol. But I got this as part of a BzzCampaign back in December (I think) and I'm just finishing it now. I know a lot of reviewers said they used it up really quickly, but I didn't find that at all. Yes, it goes on cold, and wet. Which I hated, but it dried pretty quickly considering, and it really did fight against sweat and odour. I don't usually stink though, but it seemed to be pretty heavy duty. Would I purchase it? Probably not, because I'm not a fan of gel deodorant, but if I'm ever desperate for any, I know this would work. 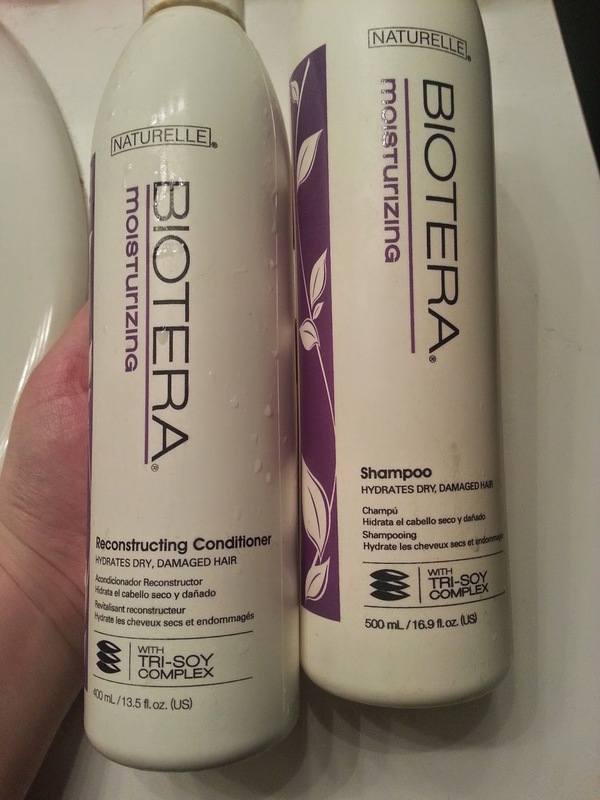 Now when I have multiple shampoos and conditioners, I tend to swap them out a lot. Which means I never really finish a whole bottle right away. This means it takes me forever to finish them as well. I've probably tried about 4 other brands while using this on and off. Apparently this is like, Sally's (beauty supply) knock-off version of biolage. I've never used Biolage so I can't compare it to that. This stuff made my hair super soft and shiny. BUT, my hair also got greasy pretty fast when I did use it. Maybe it's because I picked up the version for dry, damaged hair. I dunno. The scent isn't offensive, but it isn't the nicest I've smelled. It also lingers around for awhile. Would I repurchase this? Maybe. I'm still on the fence about it. I like how soft and shiny it makes my hair, but I don't like how greasy it gets. I prefer other brands. Tomorrow is April 1st, which means we start another month of Empties! I'm looking forward to this. I'm hoping I get more makeup out of the way for my April empties. I've been wearing more lately now that we're back to working all of the time. So, hopefully that makes a dent in some make up! And I'm sure I will have lots of skin care, and body/hair care!